In 1981, the Isuzu Trooper was introduced as a relatively stripped-down mid-sized SUV. These original Troopers were available in both three- and five-door models, although the five-door model was chosen for the American market. The Trooper was updated in 1986, giving the vehicle a considerably improved engine. More adjustments and options for engine variations were made in 1987. By 1991, Isuzu saw the need to redesign the Trooper in order to match current market trends for SUVs. This meant adding important luxury features otherwise removed from the original Trooper, as well as making some cosmetic changes to the vehicle. The resulting changes improved the overall power of the vehicle, made it more comfortable to operate, and even increased the overall size. Between 1993 and 1995, Isuzu launched the three-door model in the United States. Although the Isuzu underwent updates to the engine and a cosmetic update in 2000, the line was eventually canceled in 2002 in the United States. It was replaced with the smaller Isuzu Axiom and the larger Isuzu Ascender. The Trooper became somewhat notorious in the mid-1990s, as the popular magazine Consumer Reports claimed that the second generation Trooper's rollover safety ratings were unacceptable. Although Isuzu fought these claims through legal action, the rolling testing done on the Trooper did illustrate considerable problems with the vehicle. The Isuzu Trooper, like so many other SUVs, suffers from a problematic design flaw in the raised profile of the vehicle. With increased height, the vehicle doesn't compensate adequately by widening the wheelbase. As a result, the design of the vehicle raises the center of gravity. This means that any sudden forces or actions, such as a quick, sharp turn or a side impact accident, may be more likely to cause a rollover accident. These rollover accidents can result in serious injuries for those involved. Due to the lack of available safety measures to really protect a motorist from injury, these incidents can often result in very painful and harmful injuries that may require emergency medical care. While the National Highway Traffic Safety Administration (NHTSA) disputed the Consumer Reports study that indicated a recall-worthy defect with the Trooper, the agency's tests didn't entirely clear the Trooper's name. With extremely low ratings in front driver and passenger crash tests, the NHTSA found the safety features on the Trooper to be particularly sparse. The NHTSA may have disagreed with the Consumer Reports findings over a defect with the Trooper, but it doesn't disagree with poor overall safety ratings from the Insurance Institute for Highway Safety (IIHS). According to the IIHS's ratings, the Trooper's safety features rate only as marginally safe. 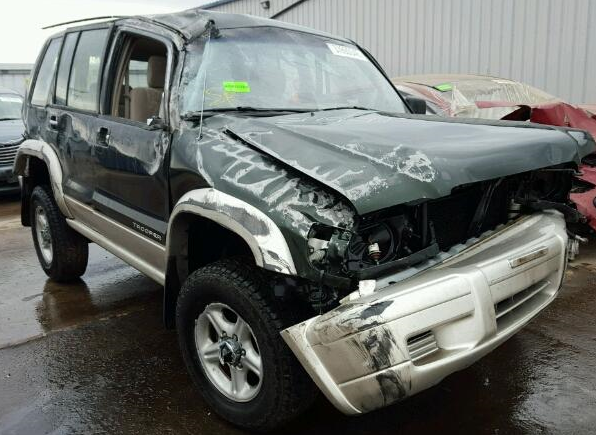 If you or someone you love has sustained an injury in an Isuzu Trooper rollover accident, our experienced legal advisers may be able to assist you with the process of filing for compensation through a legal claim. To learn more about your options after an injury, contact the Willis Law Firm today at 800-883-9858.